During the course of their careers many archivists will have the opportunity to work at different repositories with archive collections that cover a variety of subjects. However none appear to be so distinctly opposite than the collections I have worked with in the last 12 months. Whilst studying for my course in Archives and Records Management at Liverpool University I was required to complete a two-week cataloguing placement at an archive repository. In January I came to work at the Working Class Movement Library tasked with beginning to catalogue the papers of the Communist Party of Britain. 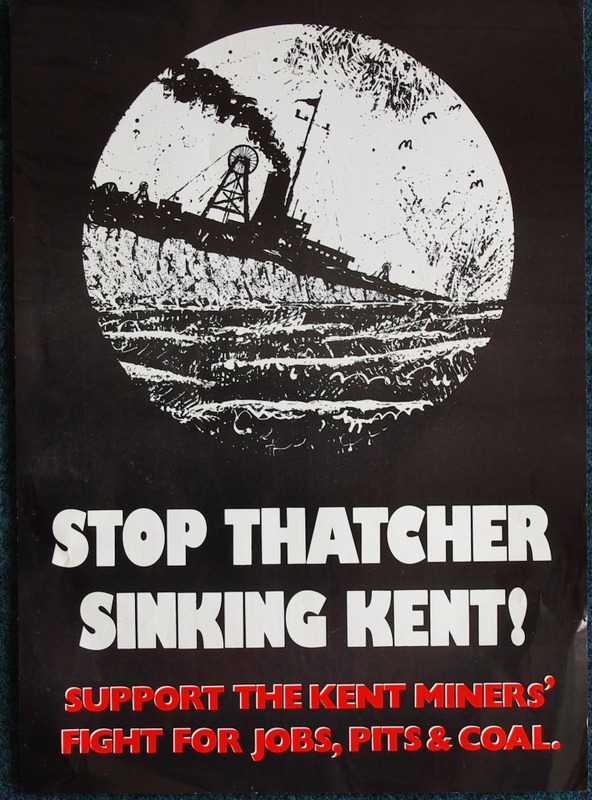 As users and supporters of the Library will know the archives collections here include records of trade unions and working class politics, protest and campaigning. Before starting my course I worked as an Archive Assistant at the Churchill Archives Centre, Churchill College, Cambridge. The Archives Centre is primarily known for holding the papers of Sir Winston Churchill but also collects. In the course of my job I was able to work with and explore many of the collections held at the Centre including the papers of Margaret Thatcher. So it’s been rather a remarkable change to go from working with the archive of Conservative Prime Minister Mrs Thatcher to exploring the papers of the Communist Party. And my surroundings have changed too from working around portraits of Churchill and Thatcher to busts of Lenin and trade union banners! Of course as an archivist my job is to help catalogue and preserve the papers under my care whatever their nature, and as a lover of British history I have found it just as fascinating to be around the unique history held at the Library as I did working with the eminent collections at Churchill College. This entry was posted on January 20, 2014 at 3:54 pm	and is filed under Collections. Tagged: Communist Party of Britain, politics. You can follow any responses to this entry through the RSS 2.0 feed. You can leave a response, or trackback from your own site.